Vino!! Wine Shop and 458 West B&B pair up to host another great event! Vino!! 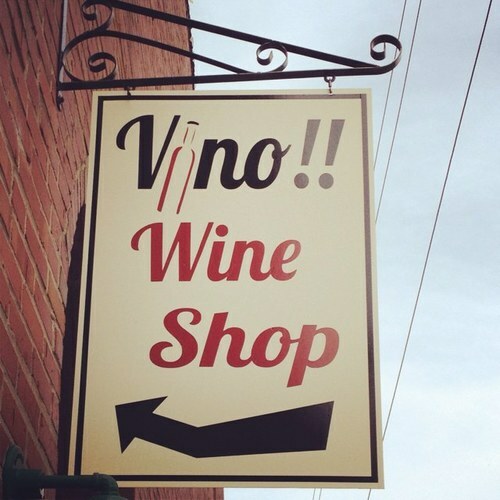 Wine Shop and 458 West B&B are two local businesses that I blog about on a regular basis because they host so many events. They really offer a lot to the people in our community and its visitors. 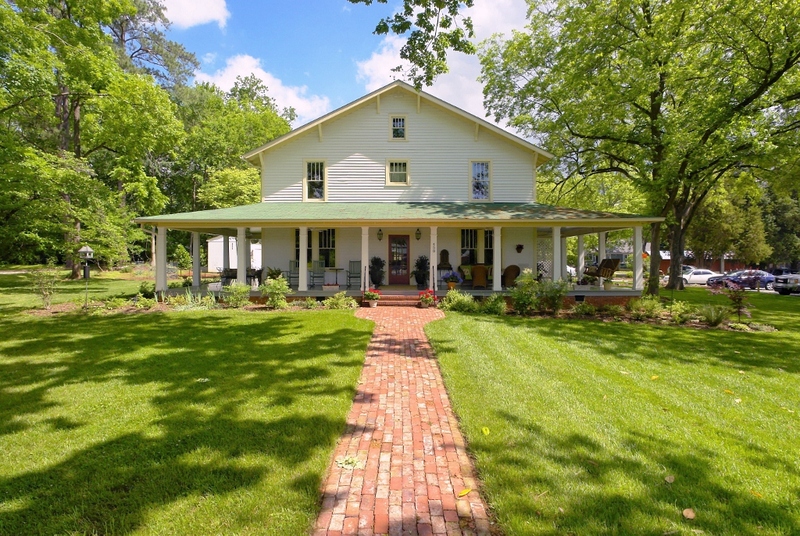 They highlight the southern hospitality that you think of when you think of small towns. 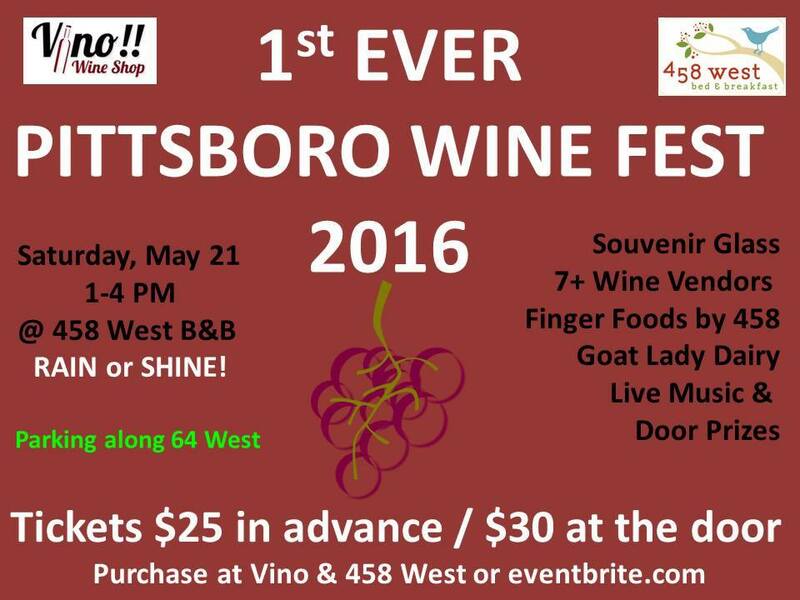 I am excited that they came together to host the first Pittsboro Wine Festival and hope that this event turns into an annual event, I already purchased our tickets and I hope to see many familiar faces and meet some new ones! The more we support our local businesses and events, the more they will provide for our community and continue to make this a fun place to live! The weather has been a bit all over the place recently but this event will go on, rain or shine! 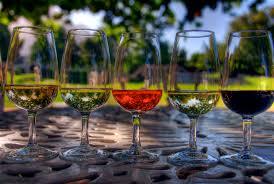 Enjoy 7+ Wine Vendors along with finger foods from 458 West B&B and Goat Lady Dairy while listing to live music! Take home your souvenir glass and if your lucky, maybe even take home one of the door prizes.